Last week l told you about Barney my parrot, but he is not the only animal living in the lighthouse with me. 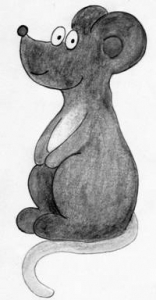 This week, l am going to tell you about the lighthouse mice. They live everywhere: behind the skirting boards, in the cupboards, under the floor; everywhere. Mice are very good at climbing and can get right to the very top of the lighthouse if they want to. What they like even better than climbing is, however, eating. lt is a good thing that they take lots of exercise otherwise l don’t know how fat they would be! They look forward as much as l do to the supply boat coming every week and eat piles and piles of my food. But l don’t really mind because there is plenty for everyone. l always have lots of food delivered because l often have visitors drop by. You just never know who could turn up. The lads from the lifeboat station or some local pirates might drop in for tea and buns at any time. The mice like their life out here and like to join in with whatever is going on. Sometimes they have relatives visit (they hitch a lift on the supply boat) and sometimes they like to go to the mainland for a change of scenery. They are very friendly. One of them agreed to have his portrait done. You can see it in the picture gallery this week. 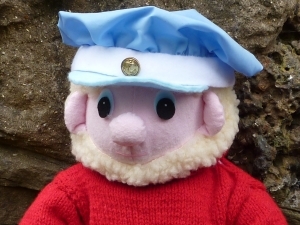 lt is a very good likeness, even though l do say so myself. At night they snuggle up to keep warm – sometimes in my slippers, and when my alarm clock rings in the morning they have to wake up and run away quickly before l get up and put my slippers on so that they don’t get squashed! When l am cooking in the kitchen they also have to be careful that they don’t get stuck in some toffee that l am making or have an egg drop on their head! 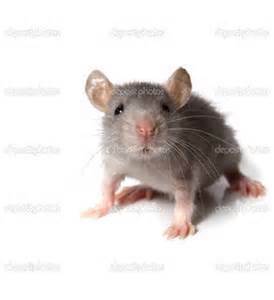 Bob: What do you call a very thin mouse? Bill: l don’t know. What do you call a very thin mouse? Last week I was telling you about Rocky Bay and Sandy Cove over on the mainland. So this week I thought I would tell you about the residents of Rocky Bay. I have already told you about my best friend Captain Jack. He lives in Mrs Miggins’ boarding house on the harbour front. Otherwise, there is Farmer Jenkins who has a farm behind the town. We go to visit him sometimes to buy fresh milk and eggs. 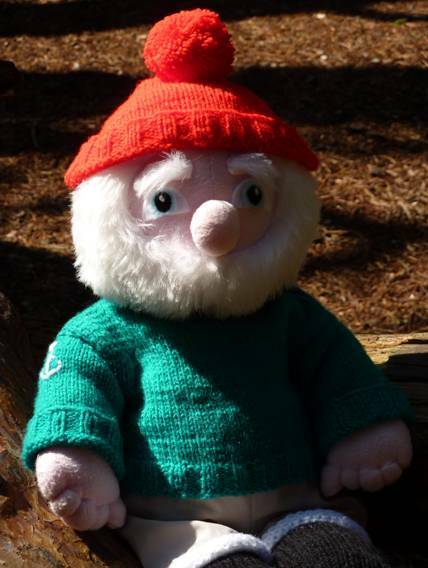 Then there is Windy Wally my brother who lives in a windmill on a hill and my Cousin Hamish, a Scottish cousin, who likes playing the bagpipes. His neighbours aren’t too keen though! Someone who is very important is Miss Pringle. She is Bill and Bob’s teacher at the Rocky Bay Primary School. Bill and Bob love going to school. Then there is Gladys Friday who runs the Rocky Bay Tourist Office and Travel Agents – she knows all the gossip in the town. There is Betty Clutterbuck who runs the Rocky Bay Tea Rooms and Amanda Livers who is the post mistress in the Rocky Bay Post Office. Cliff and Rod are the Rocky Bay coastguards and then there are all the lads from the Rocky Bay Lifeboat Station; too many to mention. They are all volunteers who usually do other jobs but eagerly come running to the lifeboat house when there is an emergency. 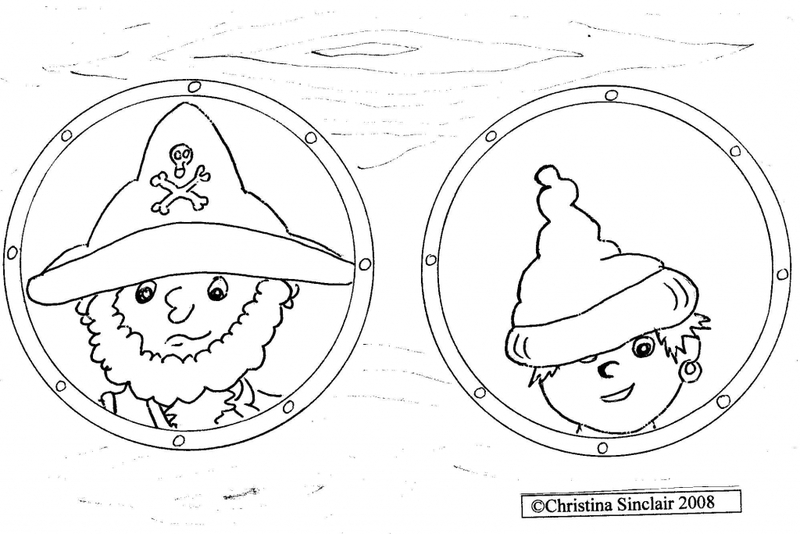 Now, some residents of Rocky Bay who can never be ignored, Barnacle Bob the Pirate and his sidekick Jim the cabin boy – and also his arch rival Jolly Roger. Barnacle Bob lives on a boat called Black Jack which is moored in Rocky Creek, a little sea inlet near to Rocky Bay. There is another pirate who runs a pirate radio station from his boat; he only comes into port occasionally. His name is Calico Jack. Lastly, I think I should mention my cousin Smiley Sid. He doesn’t live in Rocky Bay, he lives in London and we go to visit him there sometimes. Bill and Bob are always excited to visit London. Farmer Jenkins’ farm is not open to the public, but there are some places where you can go and meet animals. 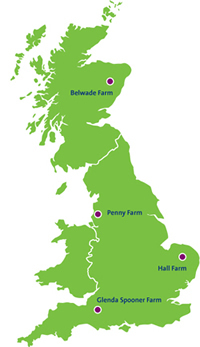 World Horse Welfare has four rescue and re-homing centres in Britain that you can visit for free. World Horse Welfare has four Rescue and Rehoming Centres in Britain, from the breathtaking scenery of Royal Deeside in Scotland all the way down to the beautiful rolling hills of Somerset – and all of them are free to visit! You can also visit the Donkey Sanctuary, Slade Farm, Sidmouth in Devon to see their large collection of rescued donkeys for free as well. 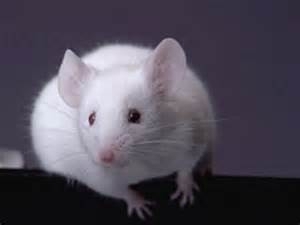 lf you want to keep mice as pets, you will find out how friendly they can be. lt is important that you know how to look after them properly. lf they are a little timid when you first get them, try putting your hand in their tank holding a little piece of food between your fingers. This will give them a chance to get used to you before you start picking them up. 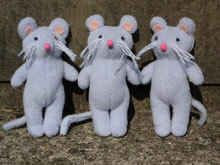 lt is a nice idea to buy a few mice because they like living together. A group of sisters is a good idea. Don’t use newspaper or wood shavings in their cage; shredded paper is better, or you can buy mouse bedding from a pet shop. Always make sure the cage door is locked because mice are great escape artists! 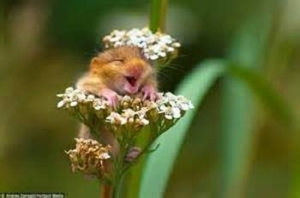 Mice especially like to eat sunflower seeds, carrot and apple. They also like dried dandelion leaves and nettles and a little bit of hard-boiled egg. 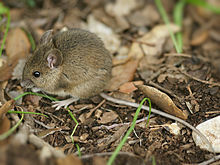 Scatter feed in their living quarters and let them go searching for it to make their life more interesting. Don’t feed them too much though otherwise they will get fat! Give them toys to play with. They will like a tread wheel and also a willow branch to climb on. Mice are very active so they need lots of room. You could also use children’s toys that have lots of hidey holes and tunnels in them. Apple, pear and cherry twigs are good for them to chew on. Water bottles should be filled with fresh, bottled water every day. Clean out soiled bedding and old food every day. Cages should be cleaned out every week with pet disinfectant. 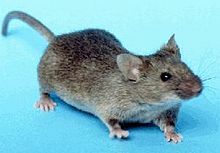 Put the mice into a small animal carrier with a bit of old bedding in it while you are giving their home a good clean. Put their cleaned toys back in a different way so that they can go exploring. Clean their water bottle thoroughly every week. Put in fresh bedding and fresh food. Put the old bedding on your compost heap. 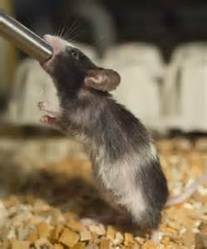 Mice are like children; they like to have new toys to play with. You can find these in charity shops or car boot sales or you could make your own with cardboard tubes and boxes with holes cut in them. 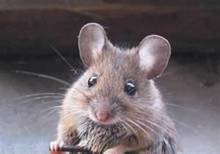 lf you let your mice out of their cage, don’t let them get lost because they might start chewing things they are not supposed to like cables! Give them a cardboard tube to chew on instead. A lot of people like to decorate their bags with little animal toys. 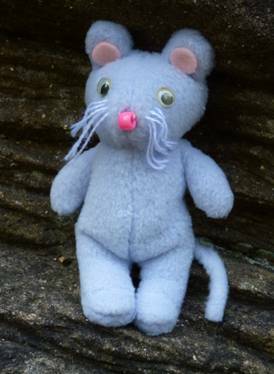 You could make this mouse into a key ring fob by inserting a key ring bought from a craft shop into the top of the head as you sew! 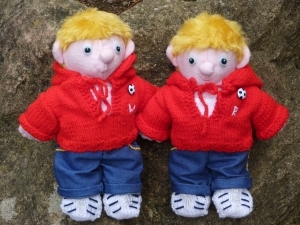 It would be better to sew eyes on rather than stick them on because key fobs often take a lot of bashing! 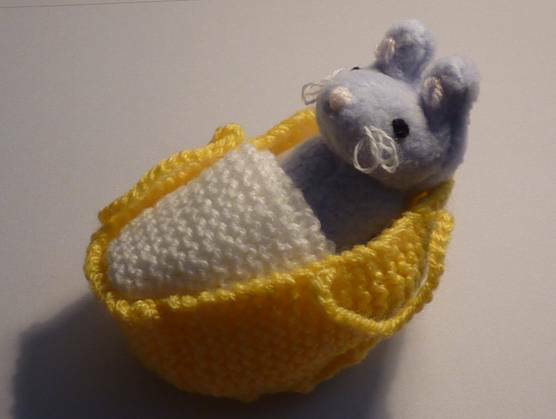 This is a pattern for a baby mouse in its basket. 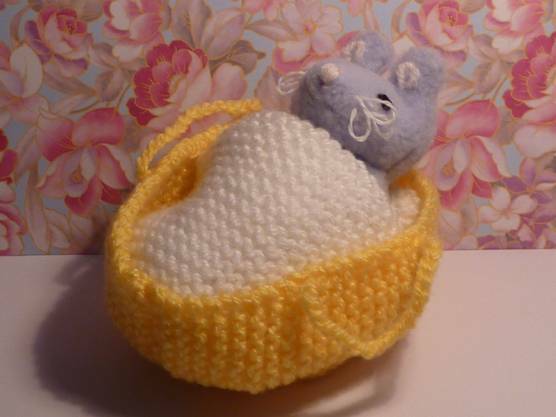 These little mice have been so popular from when they were first put on the website that I think this baby mouse will be too! The easy thing about making them is that they are made from only five pieces of fabric. 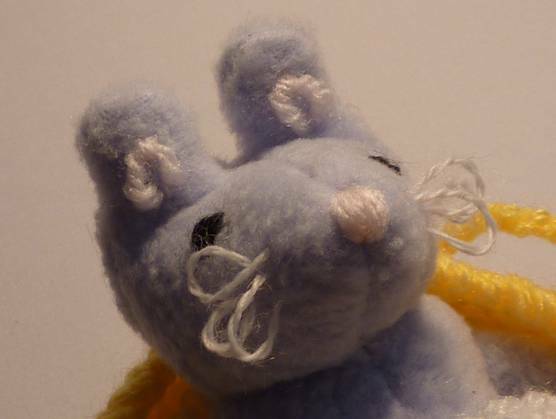 You will need to print out the mouse pattern available on the website and adapt it in the following ways. Draw a line ½cm/¼ inch inside the pattern outline. Then draw another curved line at the ends of the arms to make them another ½cm shorter (so 1cm/½ inch altogether). 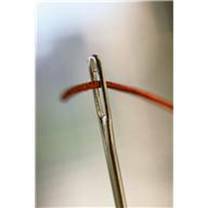 Then take another 1½cm/3/5 inch off the leg length in the same way so that they will be 2cm/1 inch shorter altogether. Make a tail 6cm in length. Stuff the head and body only, not the arms and legs. 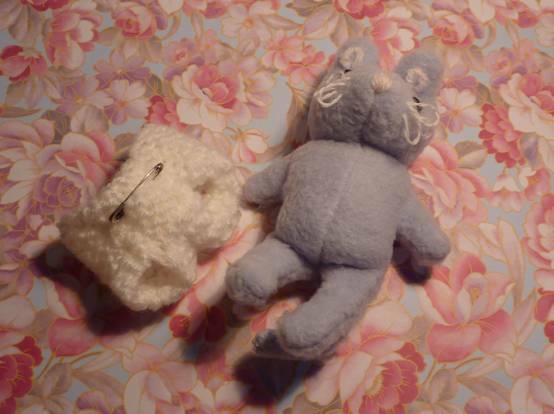 After sewing up the side seam once the mouse is stuffed, take the thread through to between the legs and then up between the legs right up through the body to the top of the head and pull it tight to make the body shorter and plumper – anchor the thread firmly in place at the top of the head (use a yarn needle to take the thread through the body). 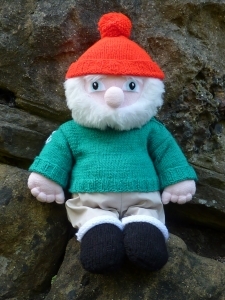 Embroider on the face details using yarn – the eyes are French knots made from winding the yarn twice around the needle. Run the ends of the yarn along the leg edges and pull in slightly to curve them. Sew the front of the nappy together. 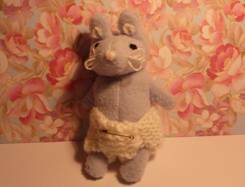 *Don’t put a safety pin in the nappy if a small child is going to play with the mouse. 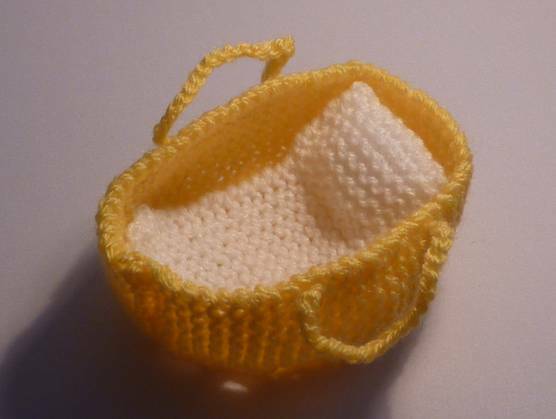 This basket is made in yellow dk yarn so that it looks like a straw basket. 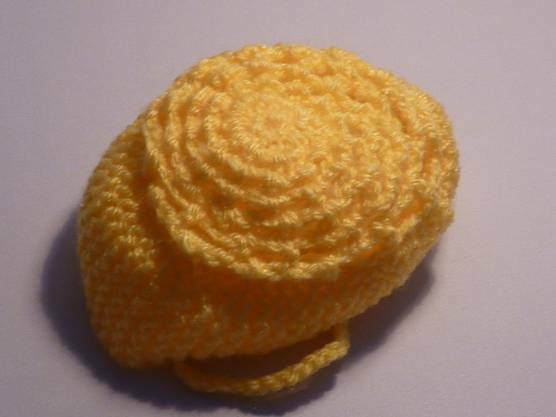 Sew the sides to the base using the yellow yarn and over-sew stitches and then make handles by crocheting 20 chains into a length of yellow dk yarn (twice) – leave ends to help you sew the ends of the handles to the sides of the basket. Fold down the top to make a pillow. Sew around the side and bottom of the pillow, stuff lightly and sew up second side. 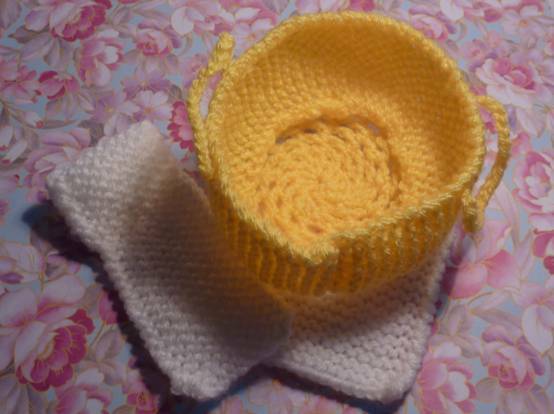 Sew the under-blanket to the base of the basket to make it more stable. 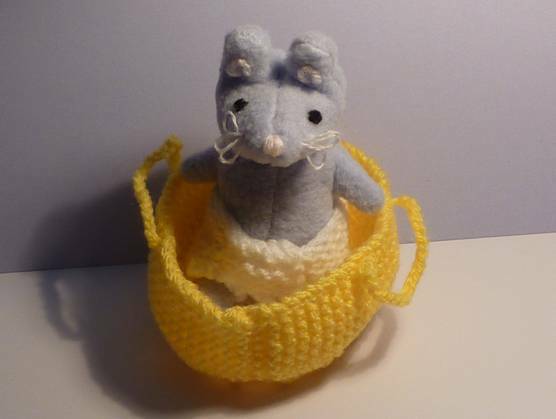 I think the lighthouse mice are really cute! l hope he is still enjoying it! You are a funny guy Salty Sam! Hello Salty Sam. i love your blog. I love the lighthouse mice! Thank you Keisha. l designed my website – l am glad you like it! Great blog Salty Sam. i hope you keep writing it. Thank you Abu. l hope that you keep telling all your friends about my blog. The more the merrier! Hi there very cool web site!! Man .. Beautiful .. Wonderful .. I will bookmark your blog and take the feeds also?KI’m satisfied to find so many helpful info right here in the post, thank you for sharing. . . . . . Thanks for writing in Mina! l am so glad you like my blog. you’re in reality a excellent webmaster. The site loading velocity is incredible. It sort of feels that you’re doing a unique trick. Also, The contents are masterpiece. you have done a fantastic process on this topic! Wow, superb weblog layout! How long have you ever been running a blog for? you make running a blog look easy. The entire glance of your website is excellent, let alone the content! I simply want to mention I’m newbie to blogging and certainly enjoyed your blog. More than likely I’m likely to bookmark your blog . You absolutely come with great article content. Many thanks for sharing your webpage. I’m newbie to blogging and truly savored this web-site. Very likely I’m likely to bookmark your blog post . You absolutely have remarkable stories. Thanks a bunch for sharing your blog. I simply want to say I enjoyed your website. Almost certainly I’m planning to bookmark your blog post . You surely come with awesome articles. With thanks for sharing your web site. Thank you very much Pattie. l am so glad that you think my blog is a masterpiece because l spend a lot of time writing it! l am glad that so many people are enjoying my blog! Thank you for writing in. Well, thank you very much for writing in Hiram! Added you to my favorites list.. Thanks! This is an great website! I love all the projects on your blog. You’re welcome Angela. l am glad you like them. You need to be a part of a contest for one of the most useful blogs on the net. I will recommend this website!